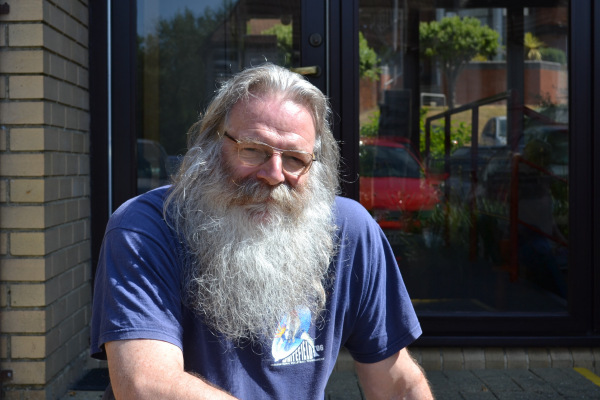 Richard has worked with people labelled as homeless, ex-offenders, drug users, alcoholics and mental health service users since 1982, and joined Two Saints in 2006. Based in our Newbury hostel he enjoyed working in a stimulating environment with clients who often have challenging behaviours. in 2009 Richard became Team Leader which meant more responsibility including managing shifts and getting the best out of his team. His knowledge of our policies and procedures proved helpful and he was able to apply them as necessary. The hostel ran like clockwork with clients regularly coming and going and he liked the client centred approach to the work that the organisation values. As part of his responsibility Richard managed the client resource room where activities took place including sports groups, residents meetings, Smart Move (our life skills programme), bike maintenance and core skills learning including reading, writing and maths. Some clients took part in vocational training at college and he remembers one in particular who went on to graduate from Reading University in Care Management. In 2014 Richard became the outreach worker, engaging with rough sleepers and supporting them in the huge step of leaving the street and entering the hostel. The role of an outreach worker is all about breaking down barriers and helping people prepare to move into accommodation. Richard says “Twelve years of change in responding to peoples’ needs, has shown me that I have skills that Two Saints and homeless people value. I’m not very good at accepting praise, so am still surprised by this. I’m always astonished and grateful for the profound trust homeless people put in me and I thank them for being brilliant teachers, helping me become who I am. As I sat down to write this one of our more complex clients reminded me of a time I found him sitting on a bench in town. He’d been drinking heavily, snow was falling noiselessly in the dark, and he was contemplating suicide. He said, ‘You fetched your car, just told me to jump in and brought me up to the hostel for an emergency bed. I’ll never forget that. I owe my life to you’. To me it was intense privilege be to in a position to do something so incredibly simple. You see, I too, was once in his position”. In a period of 12 months I helped 200 people off the streets in one way or another.